Each and everyday most of us get up in the morning and head for the bathroom where we shower, brush our teeth, fix our hair and take the first gulps of water for the day. Right from the faucet. I grew up in sunny Southern California. All summer long there were two constants in my neighborhood… hot smoggy days and lots of water to drink. From the garden hose. We never stopped to think if the water was bad, or if it could hurt us. It was a given that if water was available, it was good. And that was true if that water came from our parents, the hose in the front yard or a public drinking fountain. But what if that was not true? Click the pic to see Dave’s Water Video from Eloxochitlán. What is all the water around us was somehow not safe to drink? What if the water that came out of the faucets in our kitchens would make us violently ill if we drank it? Think about what that might’ve meant. Think about how we use and consume water. Your morning coffee or tea? Made with water. Those ramen noodles your son or daughter eats everyday at college? Made with water. Water literally touches everything we eat, drink and do each and every day. Clean water here in the US is so ubiquitous that we seldom think about it. Even the mezcal and tequila many of us drink is made with water. But what if your reality was different? What if literally every drop of water you drank and cooked with had to be purchased? How would your life change? I was recently in Austin, Texas and the city had a total ban on drinking water from the public system due to recent flooding. Coffee stores were closed, restaurants had no tap water to drink, and residents were forced to boil their water to make sure it was clean. It lasted about 10 days and you would’ve thought they were living through some sort of biblical plague. Now imagine what that would be like everyday of your life if you lived in areas with little or no running water. If you lived in areas where there was so little work you might not even be able to afford to buy clean, safe drinking water. Imagine your baby needs a drink, but because you have no water and no money, there’s nothing you can do except give her river water. And pray. Pray that your little baby doesn’t get sick from the germs flowing in that stream. Every year I facilitate a series of medical clinics across Oaxaca. 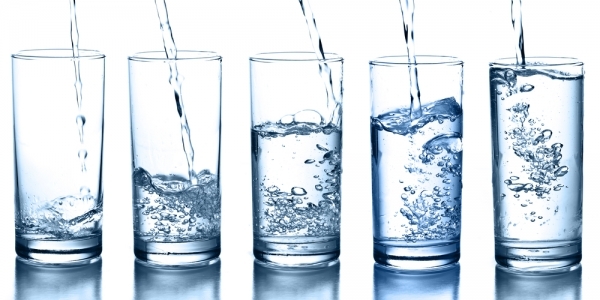 One of the primary problems we see is people who are dehydrated. Because clean, safe drinking water is beyond reach of many in the indigenous communities that dot the mountains across that great state. Literally people are dying in Mexico for lack of sufficient, clean drinking water. Together though, we can make a difference. Over the last year my non-profit, Adventures in Life has installed 7 water purification systems in the areas of Oaxaca affected by the earthquakes of 2017. Additionally we’ve distributed over 500 individual filters, like those seen in the video. In fact, over the last 4 years, we’ve been able to distribute more than 1000 filters to families from Eloxochitlán in the Sierra Mazateca to Piedras Negras, near the coastal town of Puerto Escondido. In 2019, my goal is to fund an additional 250 personal water filters. Many of those filters will go into villages where some of the best mezcal in the world is made. Places like San Baltazar Guelavila, San Luis Amatlán and San Cristóbal Lachirioag. And of course, we will be distributing even more filters near Juchitán in the Isthmus this year where there is still much rebuilding to be done after the deadly earthquake. Think about that for a moment. If we make our goal, 250 families in Oaxaca will have access to a lifetime of clean, safe drinking water. 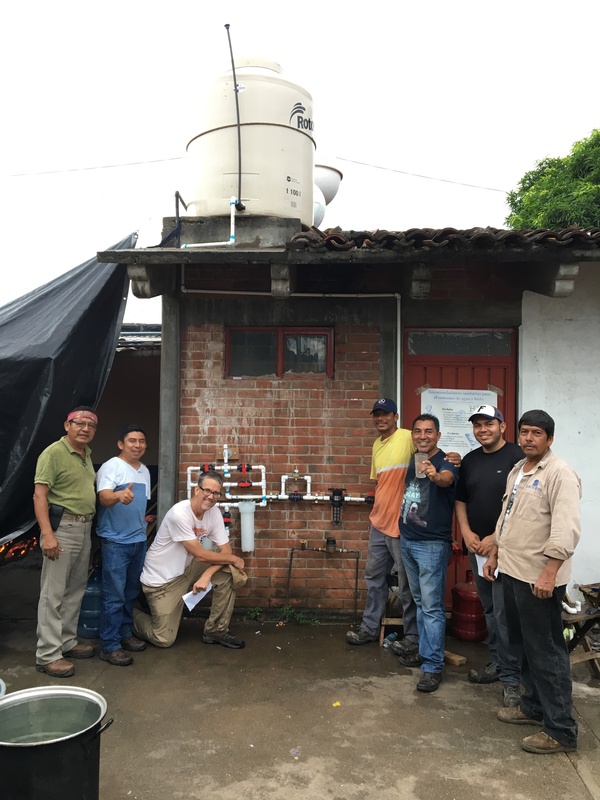 Here’s Dave and a team in October 2017 after the installation of a water system in Ixtaltepec, Oaxaca after the quake. Those 250 filters will cost my non-profit, Adventures in Life, about $12000.00 USD. That will cover the purchase cost, delivery and any customs fees we typically encounter. This year as the world enters the Christmas Season, would you consider a gift that will literally save a life? Would you consider joining me to put 250 water filters into the hands of families in Oaxaca in 2019? Here’s a link to give, and yes, your donations are 100% fully tax deductible in accordance with IRS regulations. Also, if you give on Tuesday, November 27 through Facebook’s Giving Tuesday program, we will be eligible to receive a 100% match to your gift. So, if you give $500.00, that can turn into $1000.00 with the match. Thanks for your love of Mexico, Oaxaca and the incredible people who live there. And thank you too for all your continuing help to get clean, safe drinking water into some of the poorest communities in the country. Can you help me give back to Mexico?